Off Season: Sunday through Saturday, 6 a.m. - 5 p.m. 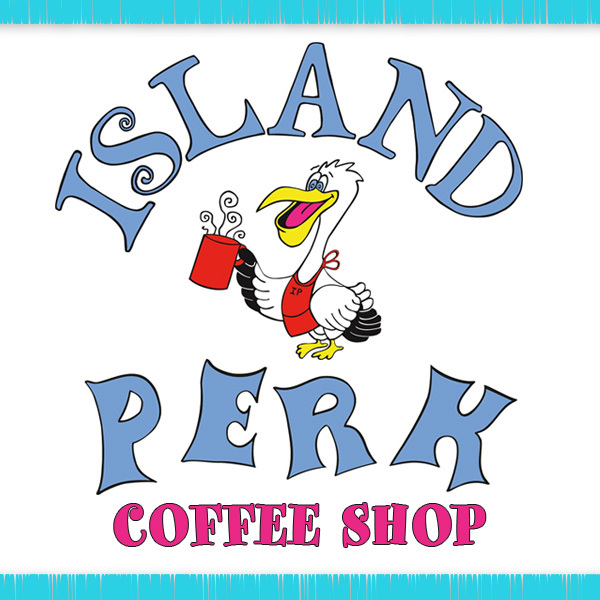 In Season: Open Daily 6 a.m. - 8 p.m.
We opened Island Perk because we love people. Yes, we love coffee too! But we knew that a coffee shop right in the middle of the busy and happy Manteo Waterfront area would give us the chance to be part of a thriving local and visitor scene. We have so much fun talking to everyone who comes in, hearing about their visit to Roanoke Island or learning local facts and lore from the folks who live here. We offer hot and cold coffee drinks, from the usual lattes and Americanos to the more fancied up drinks with flavoring, drizzles of chocolate and whipped cream. Yum! And we also specialize in healthy fruit smoothies that might provide just the pick me up you're looking for without the caffeine. If you're looking for a sweet treat, you'll love our cookies, biscotti, chocolate-covered espresso beans and more. We also have a cooler with water and other cold drinks when you need a refresher on a hot day. Come in, pull up a chair, bring a book or computer and just relax! If you feel like chatting, we'll be the friendly and interested folks on the other side of the counter!